Proposition 65 requires businesses with 10 or more employees to provide a “clear and reasonable warning” before exposing individuals to a Proposition 65-listed chemical, if the exposure to that chemical is above its regulatory warning level. 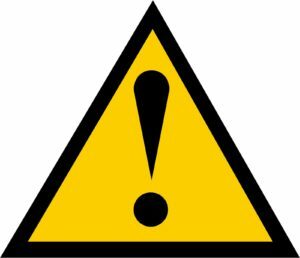 Since 1988, the Proposition 65 regulations have set forth the warning language and method of transmission for “safe harbor” warnings, i.e., warnings that shall be deemed clear and reasonable as matter of law. While it is highly advisable that businesses comply with the safe harbor warning regulations to avoid litigation, safe harbor warnings are not mandatory and businesses may choose to provide an alternate warning as long as that warning is clear and reasonable. In August 2016, OEHHA revised the safe harbor warning regulations. The new regulations become fully effective on August 30, 2018. Until then, businesses may use either the “old” safe harbor warnings or the new ones. Among many other changes, safe harbor warnings now must identify one or more chemicals for each health endpoint being warned for, cancer or reproductive harm. WARNING: This product can expose you to chemicals including lead and lead compounds, which are known to the State of California to cause cancer, and lead, which is known to the State of California to cause birth defects or other reproductive harm. For more information go to www.P65Warnings.ca.gov. In this regard, OEHHA’s position reflects a a longstanding gap between how the agency views Proposition 65 warnings and how the regulated community views them. Reading the express terms of the Proposition 65 warning statute, the regulated community views the law as permitting warnings for exposures at levels below the warning levels for the chemical, but requiring warnings if the exposure is above that warning level. Thus, the addition of the cancer endpoint in a combination warning for lead does not necessarily mean that exposures to lead are occurring above 15 micrograms per day. next post: AB 1583 Passes Senate and Assembly – But Will It Promote Transparency in Proposition 65 Private Enforcement?